Out at Sheppard's mission is to increase visibility of and support for lesbian, gay, bisexual and transgender attorneys and professionals in keeping with Sheppard Mullin's overall commitment to diversity. The group focuses its collective efforts on finding, hiring and retaining the best and brightest LGBTQ attorneys and encouraging them as they move into leadership roles at the Firm. Out at Sheppard helps facilitate participation in law student outreach programs, actively participates in the Summer Associate program, and provides informal opportunities for mentorship, collaboration and camaraderie for attorneys in all stages of their career. The group also serves as a resource for professional and business development, and as a communication link to the Firm's leadership. By contributing to the open and affirming culture at Sheppard Mullin, we aim to positively impact not only our own and our clients' workplaces, but also the larger communities in which we practice. We are committed to seeking out, encouraging and supporting meaningful pro bono work, community activism and volunteer opportunities to protect the rights and improve the lives of lesbian, gay, bisexual, transgender and queer individuals and their loved ones. For more information about Out At Sheppard, please contact DInclusion@sheppardmullin.com. Please click here to read our Out at Sheppard brochure. Sheppard Mullin participates in the Lavender Law Career Fair and conducts other LGBTQ law student and attorney recruiting outreach. Sheppard Mullin has a strong tradition of supporting the LGBTQ community through pro bono work and charitable giving. The firm is proud to provide pro bono service to such organizations as Lambda Legal and the Gay and Lesbian Alliance Against Defamation (GLAAD). In addition, Sheppard Mullin sponsors LGBTQ-related events and provides financial support to various LGBTQ community organizations. GLAAD: Sheppard Mullin serves as GLAAD’s national pro bono counsel assisting the organization in furthering its mission to rewrite the script for LGBTQ acceptance. Sheppard Mullin advises GLAAD in all aspects of its operations including governance, intellectual property, licensing, contracts, promotions and employment. Sheppard Mullin attorneys regularly attend board meetings and represent the GLAAD when litigation arises. The firm is also a sponsor of GLAAD and Sheppard Mullin attorneys participate in the annual GLAAD Media Awards in New York, Los Angeles and the GLAAD Gala in San Francisco. Lambda Legal: Sheppard Mullin is also a proud National Sponsor of Lambda Legal. 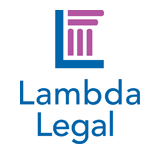 Pro bono matters with Lambda Legal include assistance with an amicus brief opposing a challenge to an amendment to the California Education Code broadening the definition of gender to include sexual identity. Each year, Sheppard Mullin attorneys and clients attend Lambda events including the Lambda Legal Liberty Awards National Dinner in New York City. Williams Institute: Sheppard Mullin sponsors LGBTQ-related events and provides support to various LGBTQ community organizations. One of our LGBTQ partners sits on the Advisory Council of the Williams Institute, an LGBTQ research facility and think tank at UCLA School of Law. Sheppard Mullin has hosted various events on behalf of the Williams Institute, including in its San Francisco and New York offices. On behalf of the Los Angeles LGBT Center and its affordable housing partner, Sheppard Mullin attorneys secured the entitlements for a new headquarters and campus for the LGBT Center that includes 135 units of affordable housing for seniors and young people, 100 temporary beds for homeless, at-risk youth, and new senior and youth centers. Sheppard Mullin was a proud Gold Sponsor of the National Center for Transgender Equality’s Trans Equality Now Award Dinner held in Washington, D.C. on May 17 2018. We are proud to have partnered with SF Pride to provide pro bono legal services. Sheppard Mullin received the AID for AIDS International's My Hero Award, commemorating the firm's outstanding contribution in the fight against HIV and AIDS. Sheppard Mullin attorneys obtained immigration asylum for an HIV-positive LGBTQ immigrant from Mexico after a lifetime of abuse and threats, ensuring that he would not be deported to face persecution and poor health. Preparation of a pro bono estate plan for HIV/AIDS clients. Lavender Law Conference and Career Fair, Washington, D.C.